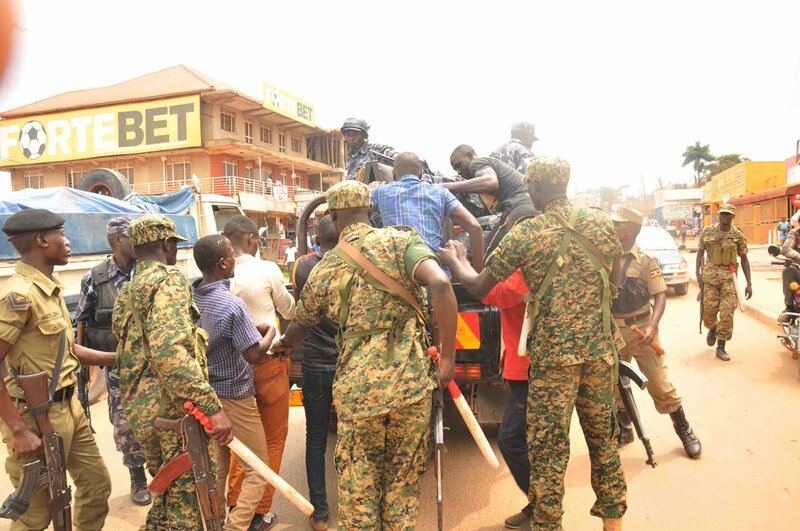 KAMPALA – Hundreds of people have been arrested as protests over the arrest and alleged torture of several MPs, including Mr Robert Kyagulanyi, aka Bobi Wine, and Mr Francis Zaake, continue in different parts of the country. 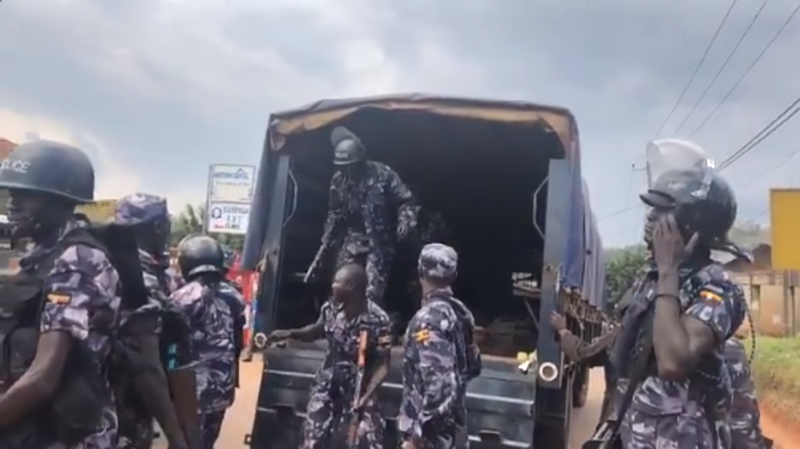 In Mukono, over 20 people were on Monday arrested as police fired teargas and live bullets to dispersed residents who had blocked the Mukono-Kayunga road, protesting what they called mistreating and torture of Ugandans. Police led by the District Police Commander, Mr Robert Sseguya, then deployed heavily in Mukono Town. They are backed up Military Police. Traders have closed shops and the town is largely abandoned. Mr Sseguya has confirmed the arrests. In Jinja Town, where one of the detained MPs, Paul Mwiru, hails from, protesters burnt tyres in the middle of Wanyama road in Bugembe town council, temporarily blocking traffic until police intervened. However, no immediate arrests were reported and heavy deployment continues. On Saturday, residents of Jinja East Constituency had given government up to Thursday this week to release their Member of Parliament, Paul Mwiru or they stage a mass protest. In Busia District on the Uganda-Kenya border, a group of Kenyans living near the border on Monday were blocking trucks heading into Uganda as residents of Western Kenya said they were showing solidarity with Ugandans over the detention of the MPs. Kenyan activist Boniface Mwangi on Monday announced plans for further protests. According to a tweet, the group will march to Uganda Embassy to Kenya on Wednesday and thereafter announce their next plans. The above protests come as downtown Kampala was on lockdown on Monday as residents staged protests, demanding the immediate release of Bobi Wine, who is incarcerated at Makindye Military Barracks. The protests, which started from the notorious Kiseka Market later spread to other parts of downtown Kampala, including Old and New taxi parks and Nasser Road. Demonstrators lit old tyres and threw garbage in the road, demanding the release of Bobi Wine whom they say was badly tortured. The Kampala protests also come a day after one person was shot dead while five people were injured on Sunday morning as residents of Mityana Municipality in Mityana District demonstrated over what they called torture of their representative in Parliament, Mr Francis Zaake, who is currently admitted to Lubaga Hospital in critical condition following beatings he sustained during the violence that marred the Arua Municipality by-election last week. The chaos started after rumours spread in the area that Zaake had died. The violent rioters blocked several feeder roads in the area, including the Kampala-Fort Portal road, with logs and stones, blocking vehicles and paralyzing traffic flow for about two hours. Several more city residents were Friday, August 17 arrested by police as protests over the detention and torture of Kyadondo East MP, Robert Kyagulanyi alias Bobi Wine broke out again in Kamwokya, where Bobi Wine has a studio, and in his residence in Magere, Gayaza, Wakiso District.